Barangay Laiban in Tanay, Rizal has been one of my go-to places whenever I feel like getting my quick hiking fix. 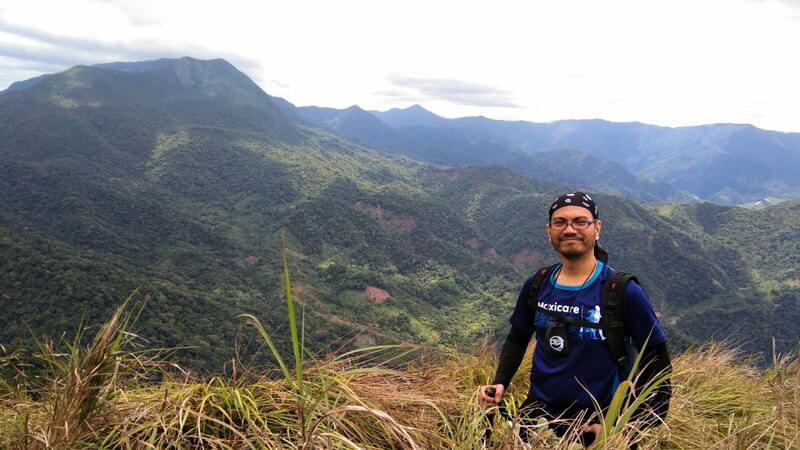 Home to such wonderful trails as the seven-peaked Rosary Trail of Mt. Kalbo, the multi-tiered Laiban Falls and Laiban Quatro, the barangay is simply replete with these natural treasures. 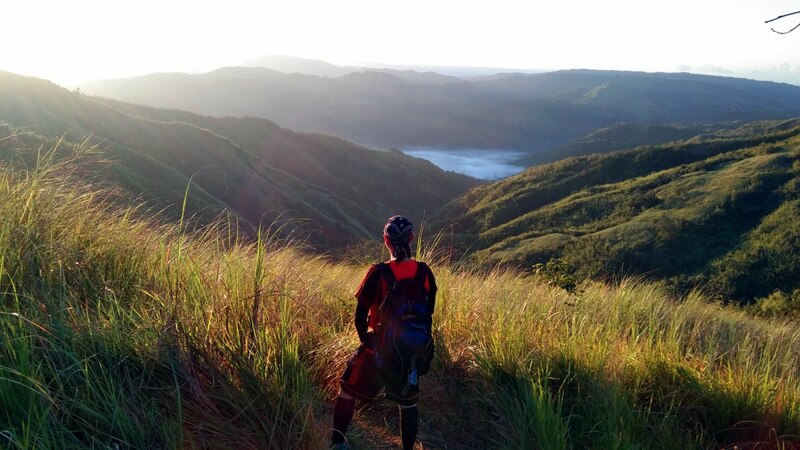 With lush, green forests, open fields, waterfalls, and clear, freely flowing river and streams, the barangay is a hiker and nature-lover's haven. All these in a relatively accessible location just a couple of hours or so away from the cities of Metro Manila. A name from a bygone era when the mighty eagles roamed the pristine forests of the Sierra Madre, Mt. Tukduang Banoi still bears the same epithet. Named after the fact that eagles used to perch their eyries high on top of the peaks of the mountain where they would devour their prey, Mt. 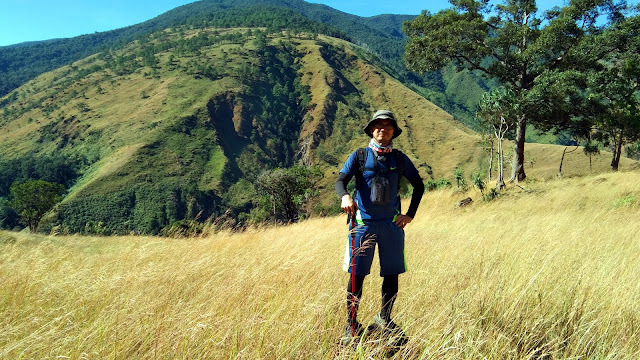 Tukduang Banoi has 3 distinct peaks, the easternmost being the highest, forming the summit of the mountain. 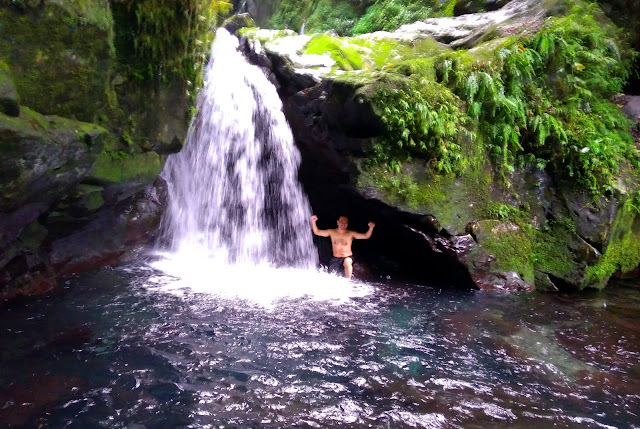 A major climb rated at 5/9 difficulty level, the mountain can be safely dayhiked with a side trip to Kinabuan Falls provided the hike is started early and with a moderately fast pace. When trying to assess how difficult a climb would be, the first question most hikers usually ask (myself included) is "How high is it?" Being only around 685+ MASL, it is easy to underestimate Mt. Damas. 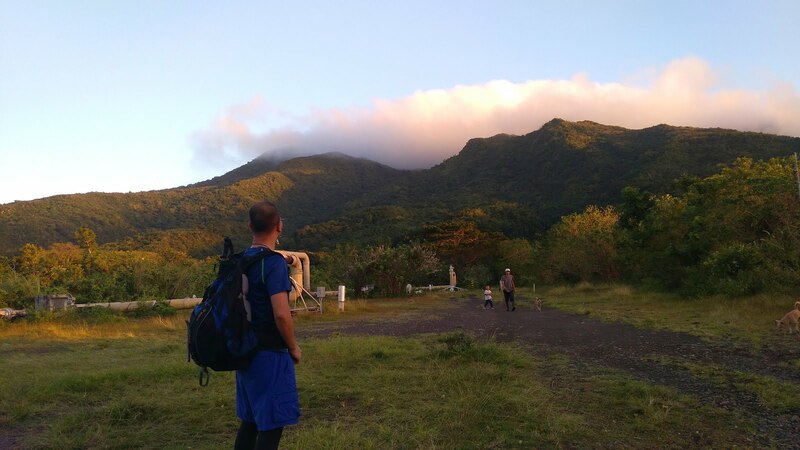 After all, several "easy" hikes are higher in elevation than this Central Luzon mountain. But be warned, this mountain is rated as a major hike with a difficulty level of 6/9. That should give you an idea of what to expect - long and multiple steep assaults with a cumulative elevation gain of over 1,000 meters, not to mention several roped segments on cliff sides and mini-cascades. I have been wanting to hike this exciting destination for quite some time now and finally I was able to experience the challenges of Mt. Damas. Looking for an easy, beginner-friendly hike that is easy on the pocket? Tanay may have the answer to your question. 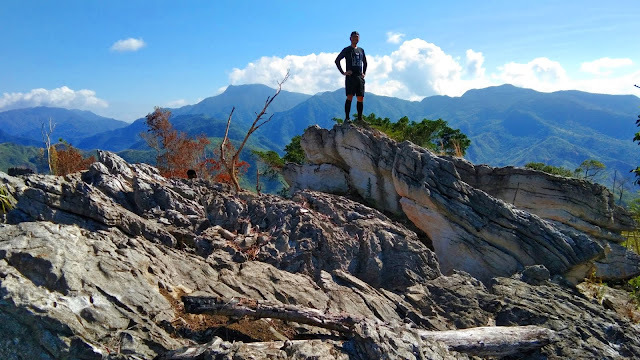 With a lot of easy and beginner-friendly trails to choose from, it is no wonder why nascent mountaineers and first-time hikers flock to the barangays of Tanay on weekends looking to fulfill their desire to go out, breathe the fresh mountain air and climb to the peaks. One of such trails is located in Brgy. San Andres, Tanay, Rizal, just a couple of hours or so away from the cities of Metro Manila. The trails of Mt. Mapalad, said to be named after a plant with broad leaves growing on its slopes, are easy enough even for a first time hiker yet replete with interesting features such as stream crossings, clear pools and brooks, waterfalls and a cave. Note: This blogpost narrates my Mt. Tapulao Traverse hike from Brgy. Labney in Tarlac to Brgy. Dampay-Salaza in Zambales. To read about my first Mt. Tapulao hike via the traditional jump-off at Brgy. Dampay-Salaza and backtrail, please click HERE. Known for its continuously ascending, moderately steep rocky trail up to KM 18, Mt. Tapulao has a different side most hikers have not had the chance to see yet. Normally hiked from Brgy. Dampay-Salaza in Zambales, Mt Tapulao can also be approached from its side facing Tarlac. This trail, known as the Tapulao Traverse or TapTrav offers a more rewarding yet doubly challenging hike normally done with a 2-3 day itinerary. 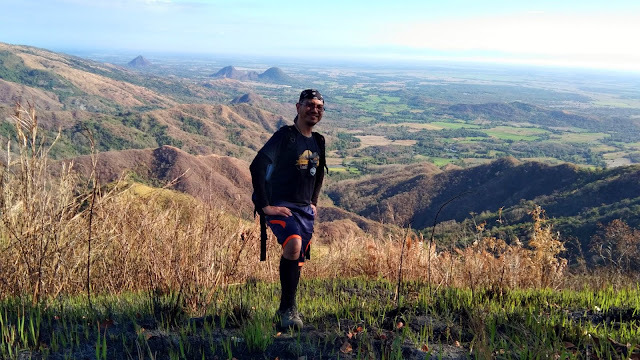 A total of 47.4 km (some sources say 48-49 km) this long trail crosses the Labney and Zambales rivers 12 times, passes through 10 mountains and has a cumulative elevation gain of 3,048 meters. Rated at 8/9 difficulty level for a 2-3 day itinerary, imagine the difficulty of doing it as a dayhike. And that is exactly what I did last Sunday.